East Arm Rowing Club | Greenwood Lake, NY Rowing on the biggest lake in Orange County, New York, just 50 minutes north of NYC in a great country community. 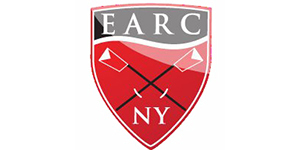 The East Arm Rowing Club is a non-profit organization dedicated to the promotion of rowing in the Hudson Valley region. We have an excellent learn-to-row program for newcomers to the sport culminating in the Sullivan Cup “LTR” regatta. It rows out of Greenwood Lake, the largest freshwater lake in the vicinity of New York City. Greenwood Lake is located just off the Appalachian Trail in a protected valley surrounded by mountains, and is considered one of the best places to retire and row. Recreational rowing– We have open rows for members scheduled three times a week. It’s a great time to come down to the boathouse, enjoy the water and hanging out with members. The perfect way to start off your weekend or end your work day, catching the sun glimmering off of the calm water like glass. For those of you new to the sport, check out our annual Learn to Row Program to help get you started. Racing– The EARC is also a racing club! Racers start each year with intense indoor training available five days a week. Once it’s warm enough, you will see them practicing on the water daily. Our club takes pride in our accomplishments and broad spectrum of racers from our novice racers to our national competitors.